Im often ask , how do you make your stickers when you have a MAC and you have to use Pages ?? Actually its not that bad to learn it , the video above show the basic , but also the fastes way to make your own sticker sheets. If its the right way I don't know, but I know it works . There are loads of things I still have figure out yet, so please feel free to share your finings in the comments below , also if you have any questions . 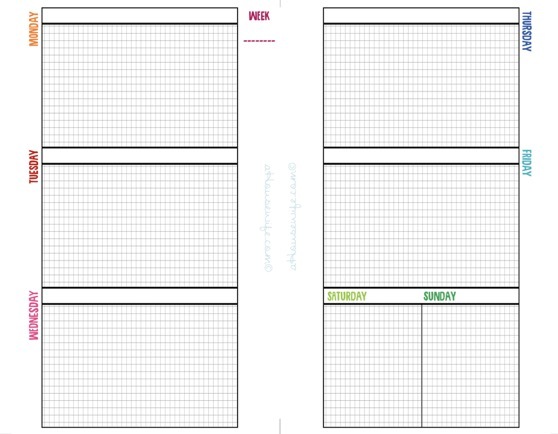 aHousewife awesome personal planner inserts ( personal wide ) fits two Erin Condren boxes each day , and are perfect for a housewife, there don't want to drag a big planner around . It can hold all your plans and still loads of space to decorate, You can have a quick look at the Etsy Store.